Truly, I don't have a multitude of interesting things to say about No. 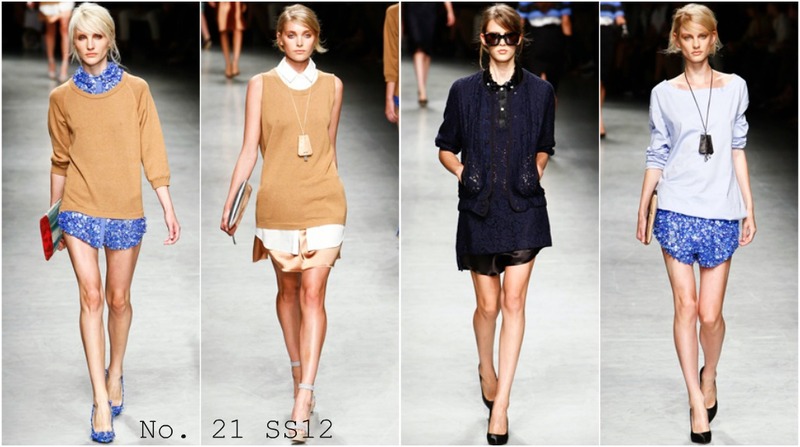 21's SS12 collection, except that I love their mix of texture, muted colors and intense blue sparkle. Yes, please, I will take all of it... espesh those blue shorts! love.